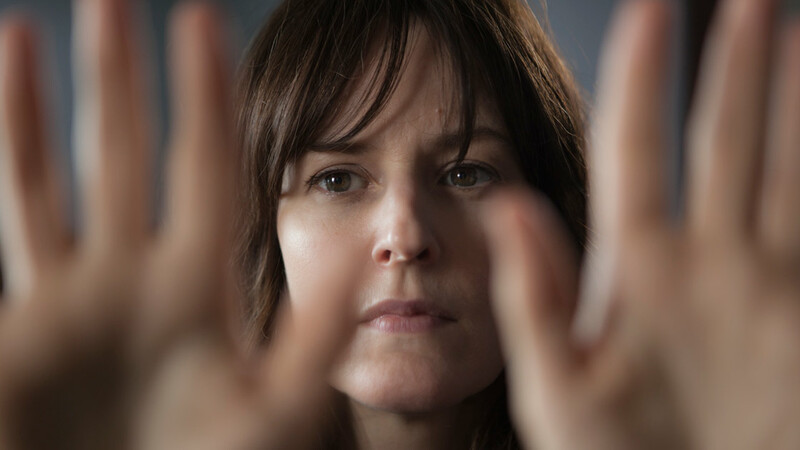 Lynn Shelton's TOUCHY FEELY is a patient quiet film about deeply felt or resisted emotions. I suffered through the slow-paced first hour of its slight run time, but came to love that aspect in retrospect as it paid off with a wonderfully cathartic crescendo in its final 20 minutes. At first glance, the story seems simple - even trite. A family - brother, sister, the brother's daughter - quietly suffer their emotional crises in isolation. The brother and sister take ecstasy, while the daughter listens to a heartfelt, and suddenly, we have emotional breakthrough. What gives the movie a depth that belies this premise are the strong performances from all the major characters, and a particularly well crafted denouement. Josh Pais is particularly impressive as the brother, Paul, a middle aged dentist afflicted with desperate awkwardness and rigidity. A chance occurrence leads him to question his ability to heal, and opens him up to Allison Janney's character, and some of the most wonderful quiet humour comes from seeing this deeply unconventional man thrown into the world of the unconventional. There's a short tour de force scene where Paul contemplates taking the pill. There's no dialogue: you get everything you need from Josh Pais' physicality. It's wonderful to watch. I also particularly liked Ellen Page's performance as the daughter, Jenny. The character of the caring girl to guilt ridden to admit she wants to go to college, suffering too from unrequited love, goes against type for Page, who has previously only played feisty, witty girls. Here she is so repressed and bashful as to be literally pathetic and its her catharsis that anchors the superb final twenty. Which brings me to Shelton and her collaborators. There's something quietly wonderful about the delicacy with which they weave together Tomo Nakayama's songs, the intimate visuals, and the final scenes to relate the emotional opening up of the characters at the end. If only there had been a little greater urgency or economy on the opening sections, this could have been a truly great film. TOUCHY FEELY has a running time of 88 minutes. The movie played Sundance 2013 and will be released in the USA on September 6th.